Klymit is a brand known for their innovative outdoor sleeping products, including sleeping pads that range from standard rectangle-shaped to lightweight sleeping frames. Their original Hammock V sleeping pad was a unique offering to the category, with its butterfly shape that focuses on wrapping hammock sleepers and covering all key points where padding is need while cutting out bulk and weight where it’s not. Klymit also introduced the Insulated Hammock V with an R-Rating that makes it a true four-season hammock camping pad. Last year, they also released their first hammock, the Traverse Double Hammock. Active Junky loves the products we’ve tested from Klymit, and these two are no exception. 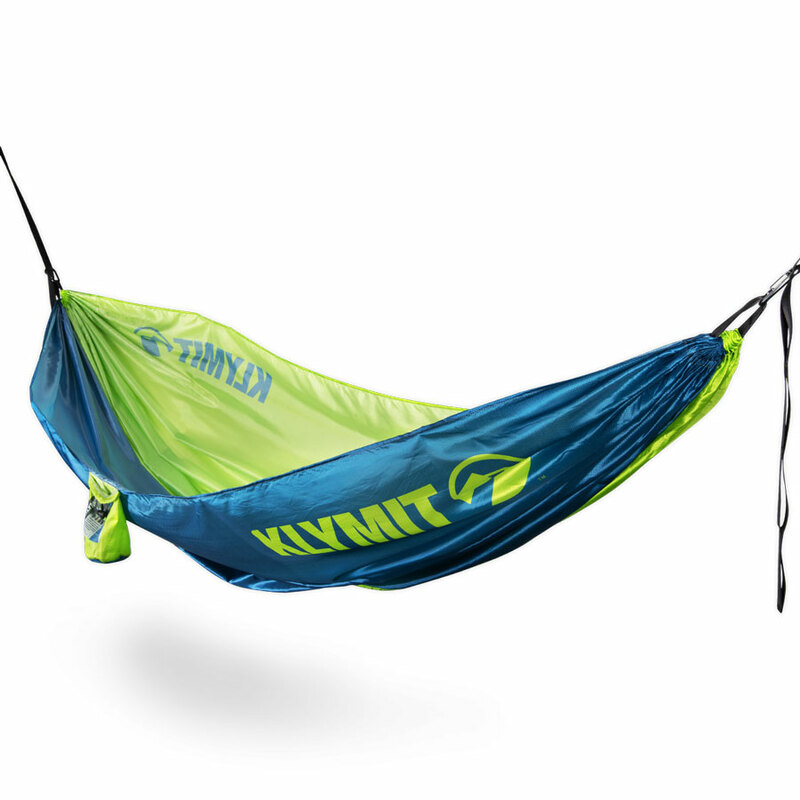 Both the Traverse Double Hammock and Insulated Hammock V are available online from Klymit. Hammock sleepers understand the crucial difference a sleeping pad makes in their setup. Active Junky has tested many of Klymit’s products, including the original Hammock V sleeping pad. The Insulated Hammock V takes the same impressive technology but adds insulation to up the R-Value from 1.6 (comfort down to around 45 degrees Fahrenheit) to 4.4 (comfort down to 5 degrees), meaning this pad now takes your hammock camping to four seasons. Like the original Hammock V, this insulated model comes with a unique body-mapping shape that cradles the user while suspended in a hammock. 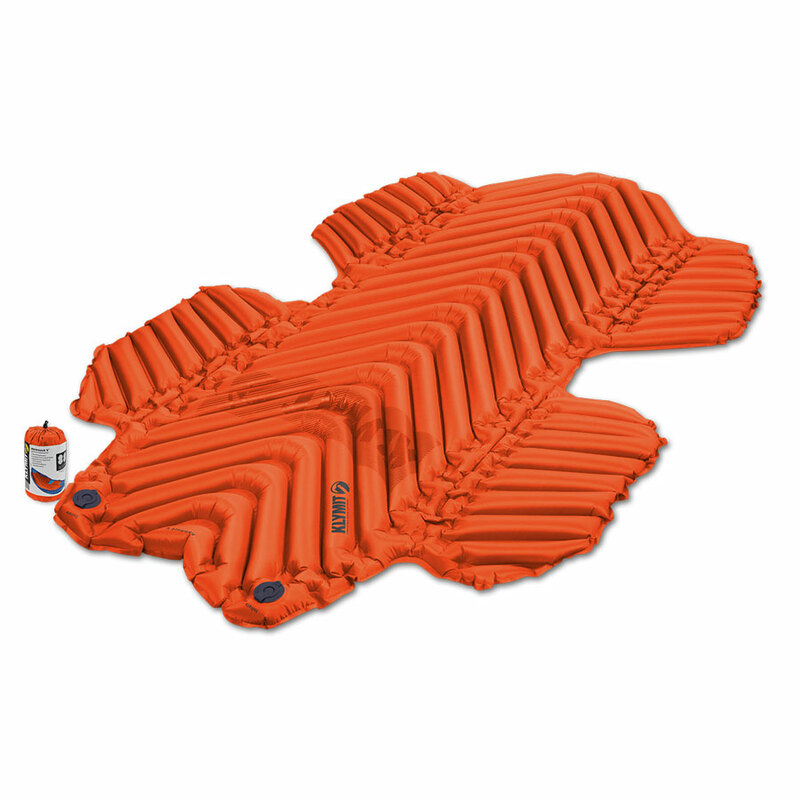 The insulation adds a bit of weight, as to be expected, but at 35 ounces it’s not significantly heavier than other insulated sleeping pads you’ll find on the market and packs down to about the same size. Klymit has been making quality sleeping pads for years, but they’re branching out to other categories with the introduction of their first hammock, the Traverse Double Hammock. 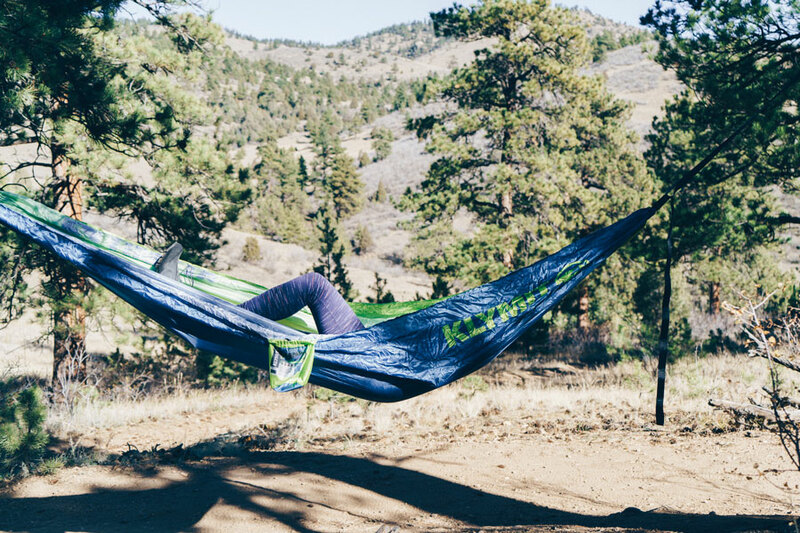 With a weight limit of 400 pounds, this is the perfect two-person hammock, whether camping in moderate conditions, hanging out at basecamp or taking a break along the trail. The included carabiners pair with the two 11-foot tree straps with daisy chains (multiple connection points along the straps) so you can dial the position. This also means that you don’t have to worry about finding two perfectly-distanced trees, which can be a real headache saver. It all also packs down surprisingly small, even with the two straps, and the whole system weighs just over 30 ounces. 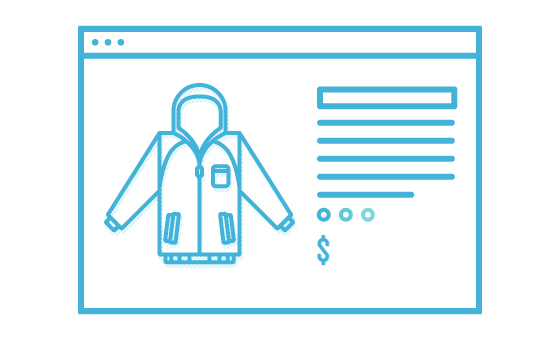 The design doesn’t include any bug mesh, so we wouldn’t recommend this for camping in the backcountry when that extra protection can be necessary.